Oolongs exemplify the concept that some teas can be re-steeped multiple times and yield an incredible volume of drinkable tea. This practice works best when the leaf is steeped in a small vessel, but it also works reasonable well in a large teapot. 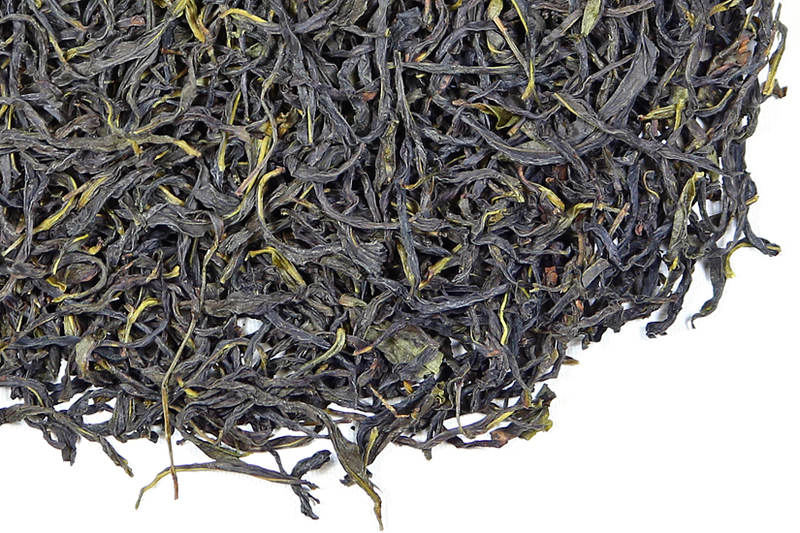 This is one of our largest and most beautiful dan cong teas. The leaves are exquisitely long, slender, well twisted and needle-shaped. The aroma of the dried leaf is lightly floral and fresh. This is a spring-plucked dan cong, so the aroma is more subtle than it would be in, for instance, a high-floral autumnal version of this tea. But, the flavor has more longevity and staying power, so one simply trades the benefits of one season for that of another. And both choices are excellent! There is subtle complexity in this tea – it is not a flamboyant dan cong, but has a seductive taste and aroma that is fruity one taste and floral the next. The tea liquor has some brothy-ness from a high percentage of amino acids. Careful and patient coaxing for the best flavor will be rewarded over the course of several steepings. On the second steeping we tasted some notes that reminded us of a delicious Taiwan Baozhong in the aroma and flavor. On the third steeping we began to notice some citron flavor with a little herbaceous lemon verbena. Throughout, however, the core flavor is that of a field of ripe melons – all different types – ripe at the same time! What a treat! As we continued to steep, the sweet floral flavor in the liquor began to diminish but remained strong in the aftertaste (hui gan), returning like a ghost flavor long after the last sip had been taken. In fact, often the flavor of the tea was realized in the aftertaste rather than the liquor itself. And then a sensation began in the aftertaste which was a little bit of an anesthetizing sensation – not an actual taste – but a slight ‘buzzing’ sensation on the tongue that one gets from substances such as clove or szechan pepper. For 2017 spring we selected dan cong teas that have been grown lower down the mountain and plucked from younger tea trees. 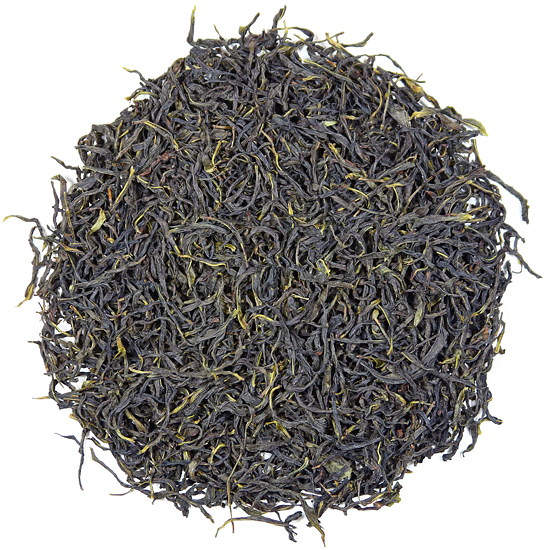 We were looking for tea with good flavor and long-lasting qualities for re-steeping and keeping quality. Dan congs can quickly become very rarefied and expensive when certain conditions exist: elevation of the tea garden, age of the tea trees, the number of tea trees being plucked in a particular ‘aroma, etc. We also considered ease-of-steeping for this year’s dan congs, as we realize that older, larger leaf dan congs can be notoriously difficult to steep successfully. So, our 2017 harvest dan cong selections are generally less expensive than the aged & rested dan cong teas we have in inventory from several years past, and offer good taste and will drink well for many years.